I was in dire need of retouching my hair as my roots were already showing. 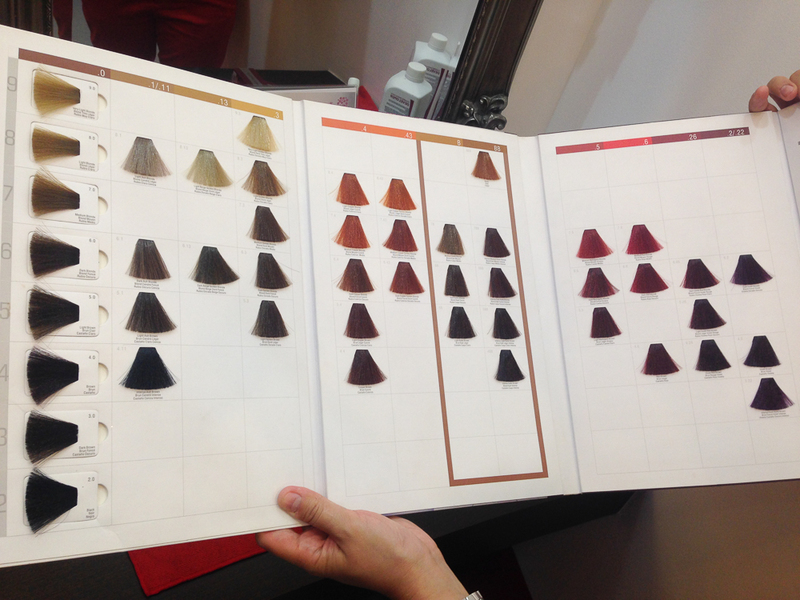 The timing was just perfect as Tenylle of New Summit Colors Distribution Inc., the official distributor of Cynos Inside Hair Care & CND Shellac™, has been wanting me to try their Cynos hair color called Glamer. 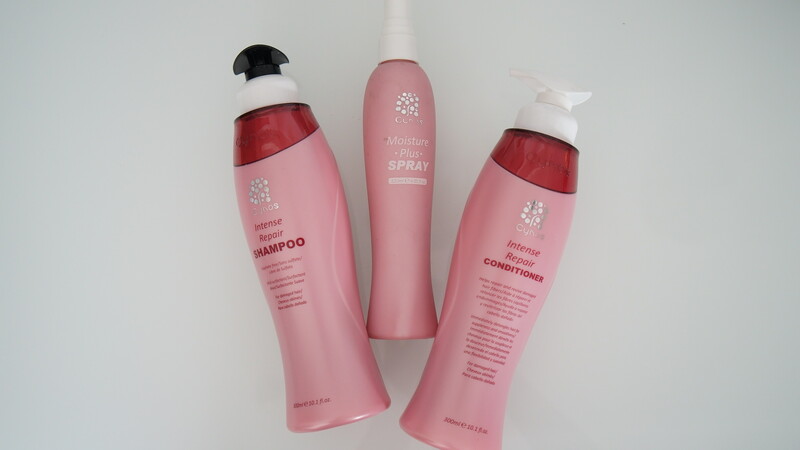 Given I’ve already tried Cynos Argan Oil shampoo, conditioner and oil, I didn’t hesitate to try Cynos Glamer. 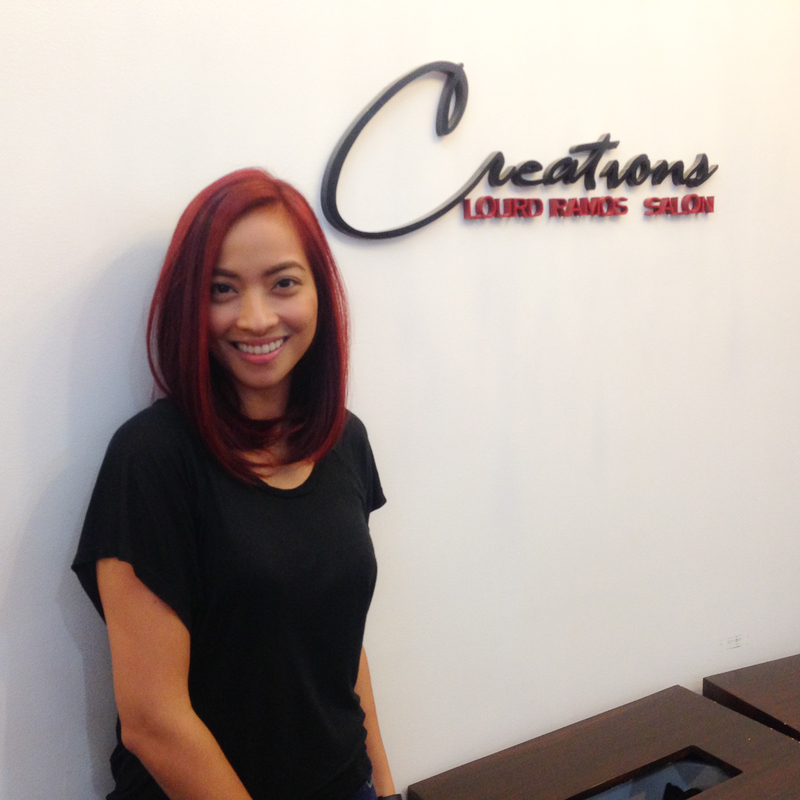 So last week, I visited one of their salon partners, Creations by Lourd Ramos Greenfield District branch for a morning makeover. Cynos Glamer Permanent Color Cream has a DuoFuse Technology, its color pigmentation is twice the color making it last longer and fuller on hair. It also has low ammonia and has Vitamin E, Omega 6 and Omega 9 that guarantees “damage free” and “dryness free” on hair after color. Even from a far you can see how vibrant Cynos Glamer colors are. I was planning on toning down my hair with an ash brown base and perhaps some highlights to it. 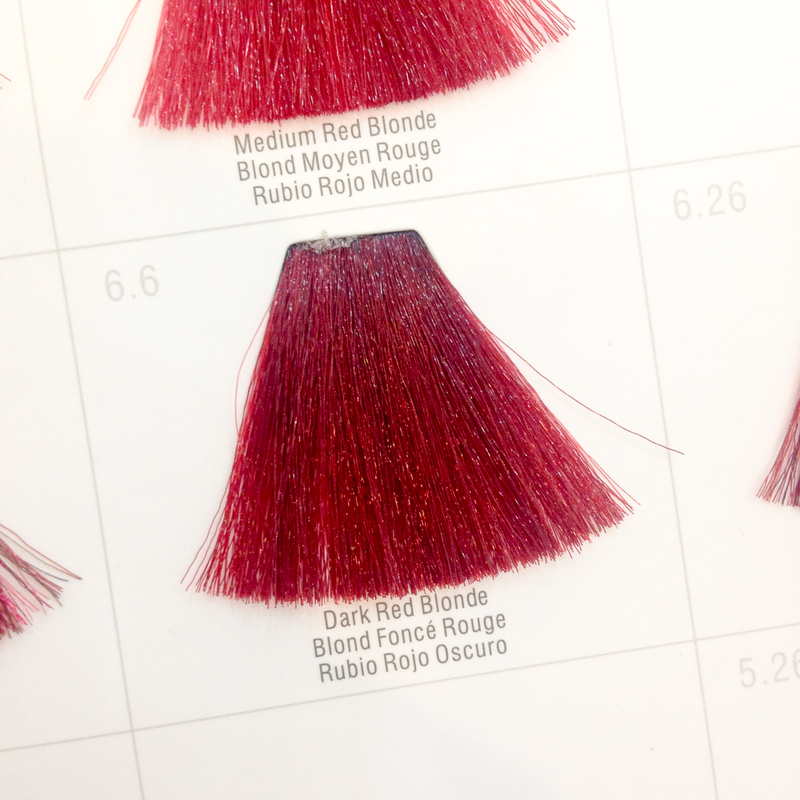 But if I want to achieve a particular ash color, this would mean bleaching my hair and I didn’t have enough time that day since I had to pick up lil’ Ms. GJG from school. 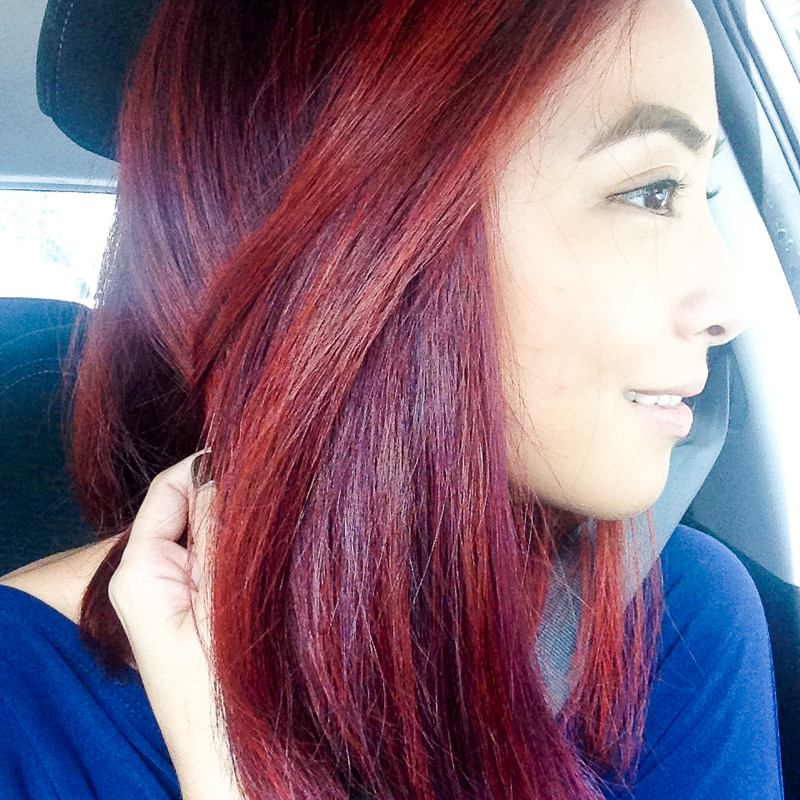 Since my hair is already faded, they applied Cynos Glamer 6.6 Dark Red Blonde as my base color. To add a little quirkiness to it, the stylist suggested I get highlights. 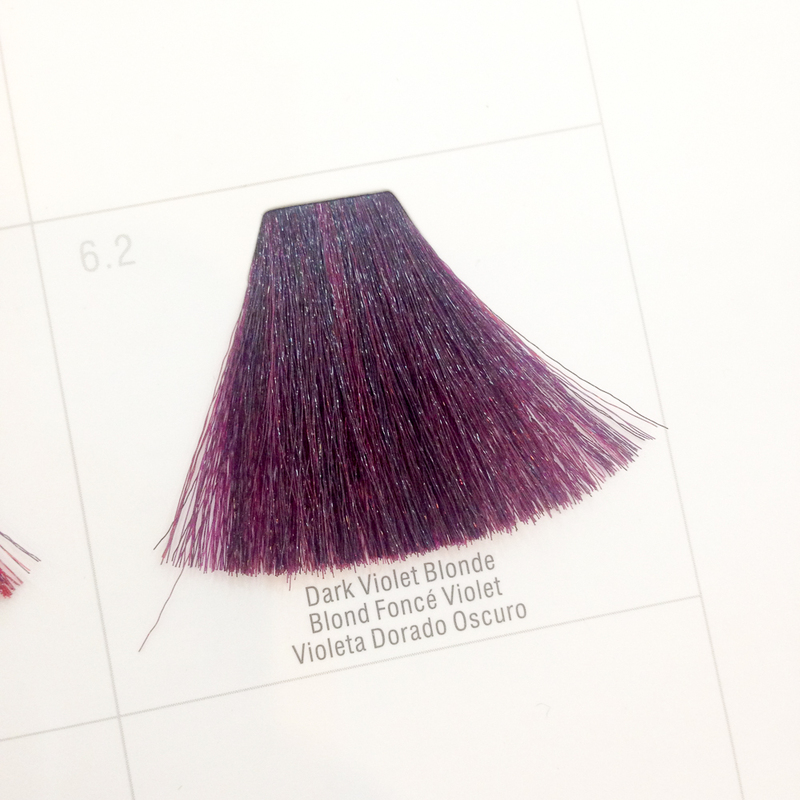 She picked Cynos Glamer 6.2 Dark Violet Blonde. While the colourist was busy with my hair, I got busy with my nails. 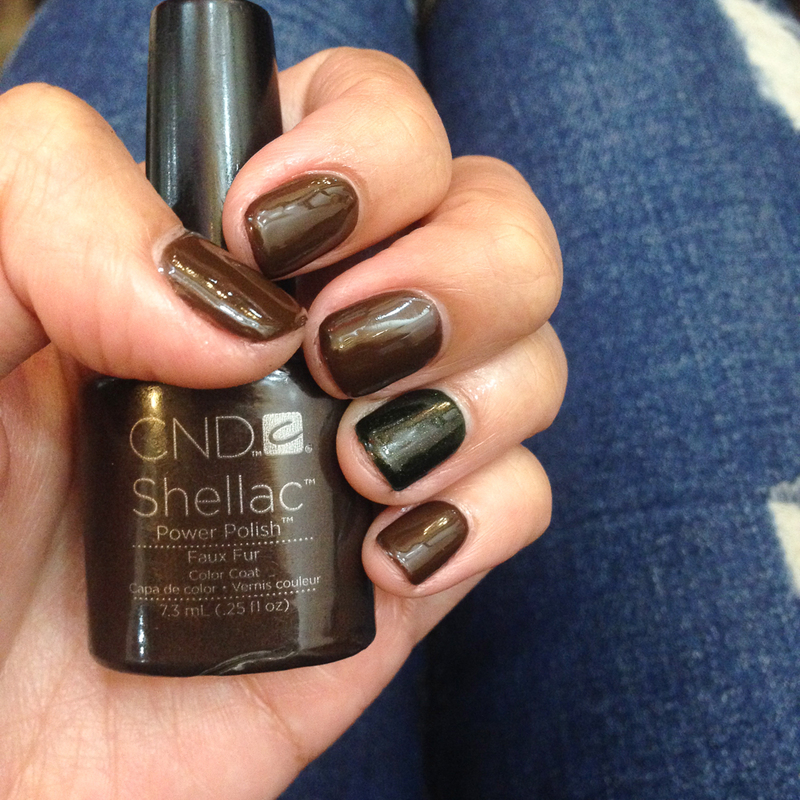 CND Shellac is a gel polish that Tenylle also wanted me to try. This was my second time with gel polish & it has been years since my first encounter. 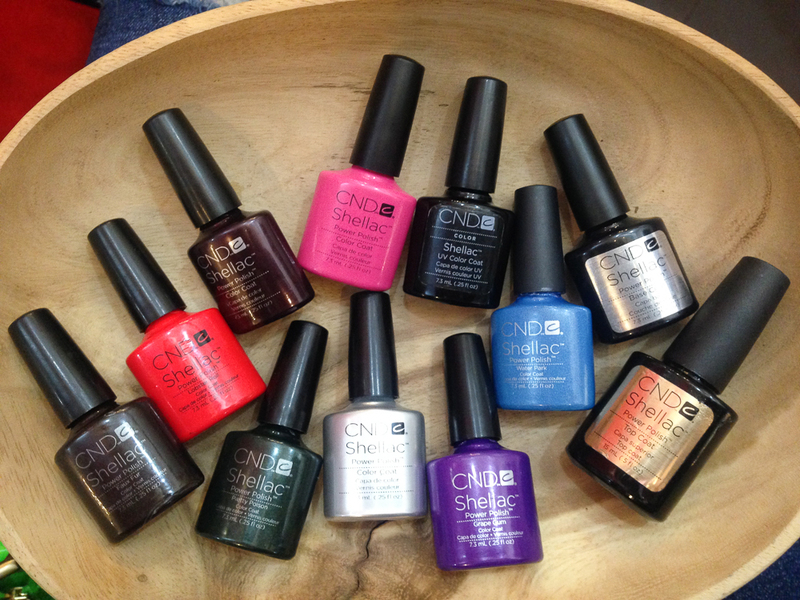 Shellac™ is a breakthrough, patent-pending UV3 technology that combines the ease of polish with the permanence of gels. No other products in the market can stand up to the claim. Also considered as a hybrid of traditional nail polish and UV gel polish that combines the best of polish & the best of gel. It’s zero dry time & guarantees no smudge. 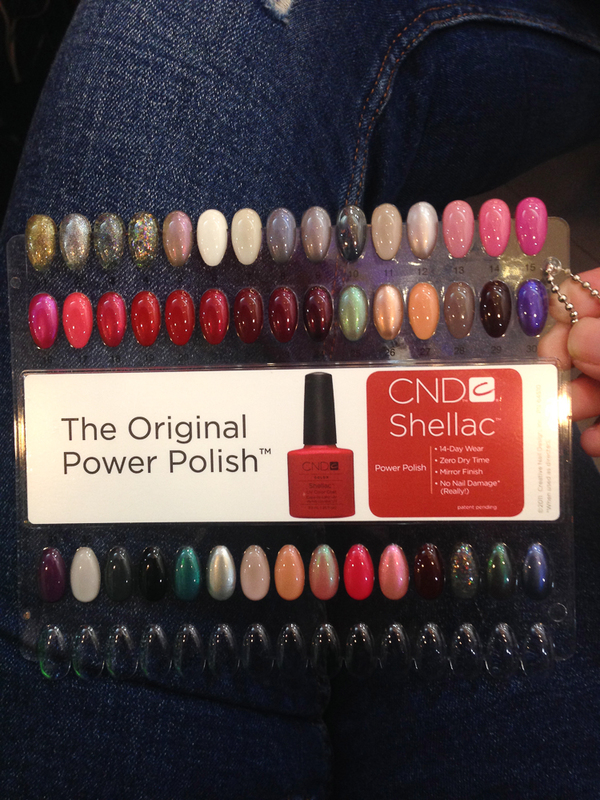 Shellac™ does not include Formaldehyde, Toulene or DBP(Dibutyl Phthalate). After a few minutes, the red base color was applied- this I didn’t realize sooner. 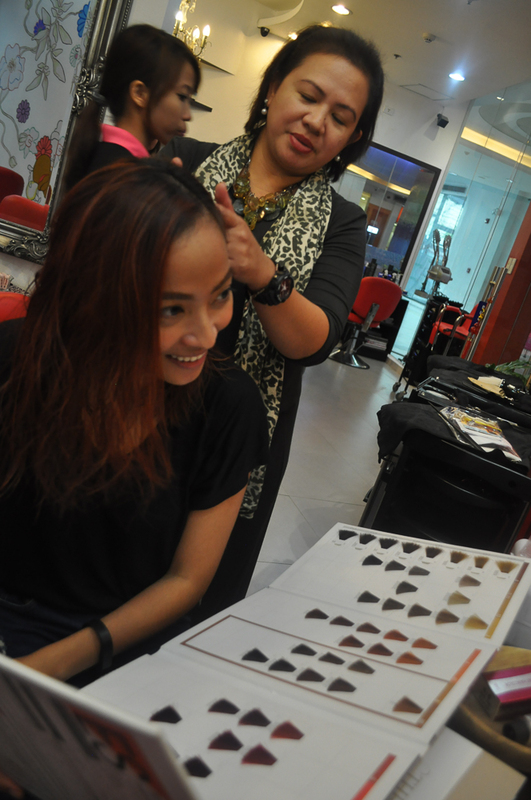 I even asked the colourist if they’re done applying the base color ‘coz my hair still feels light like, I assume they’re still not done with the highlights. Also, I was anticipating the powerful scent permanent hair color usually has but instead, Cynos Gamer gave a mild flowery scent. While I was waiting for time to finish before they rinse my hair, my nails were already done. I chose dark colors instead of the summer-y ones. I figured my bright red hair would suffice my summer vibe. The brown shade is Faux Fur while the dark green one is Pretty Poison. I like how shiny and smooth my CND Shellac™ nails are! Also, it feels just like a regular polish except that it’s said to last for 14 days or more. Mama Lourd Ramos dropped by even after just coming from Singapore. 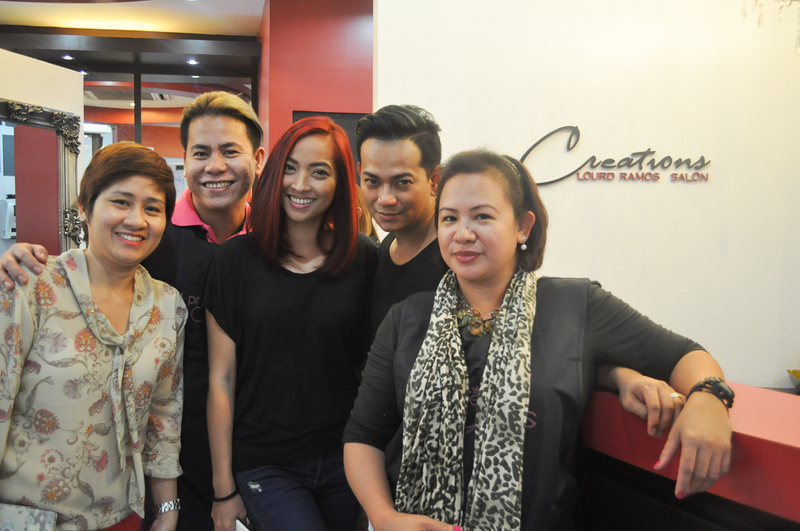 Thank you so much to the staff of Creations by Lourd Ramos, Tenylle of Cynos & CND Shellac™ for my hair & nails. 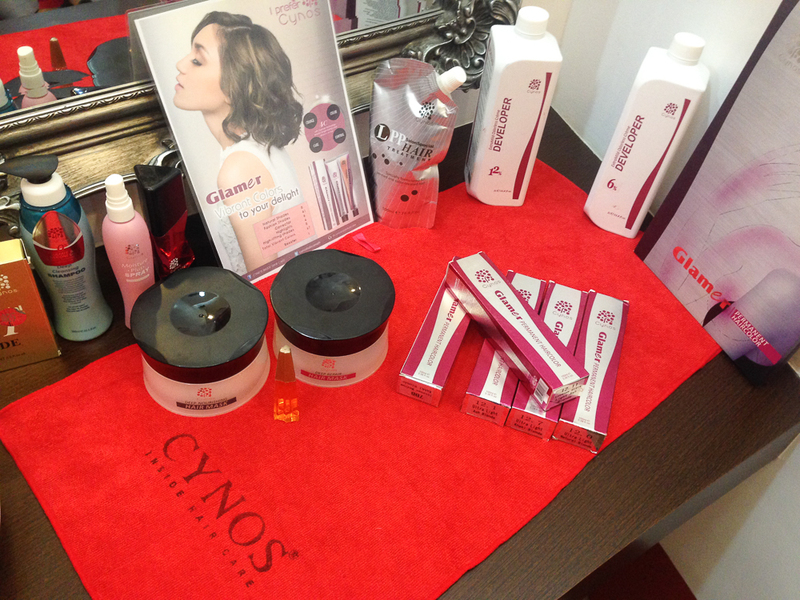 Thanks also for these Cynos Intense Repair Shampoo, Conditioner & Moisture Spray products which I’m excited to try. 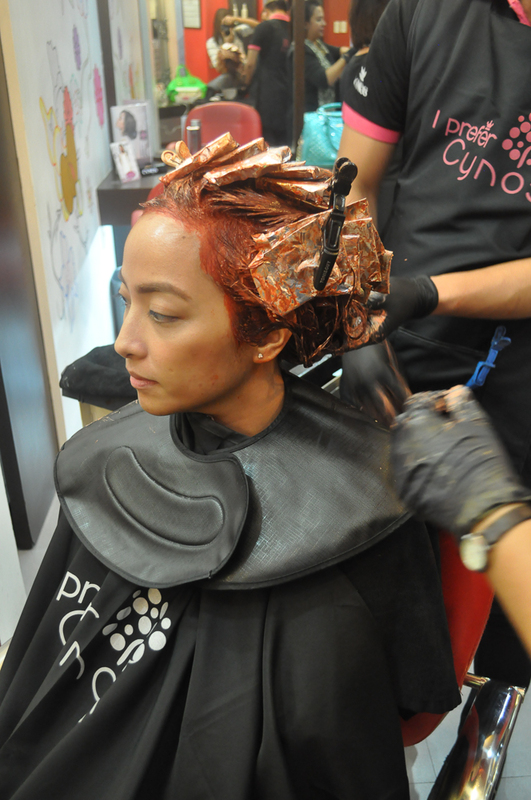 Cynos Inside Hair Care is available at Jessie Mendez and Creations by Lourd Ramos among other salons. 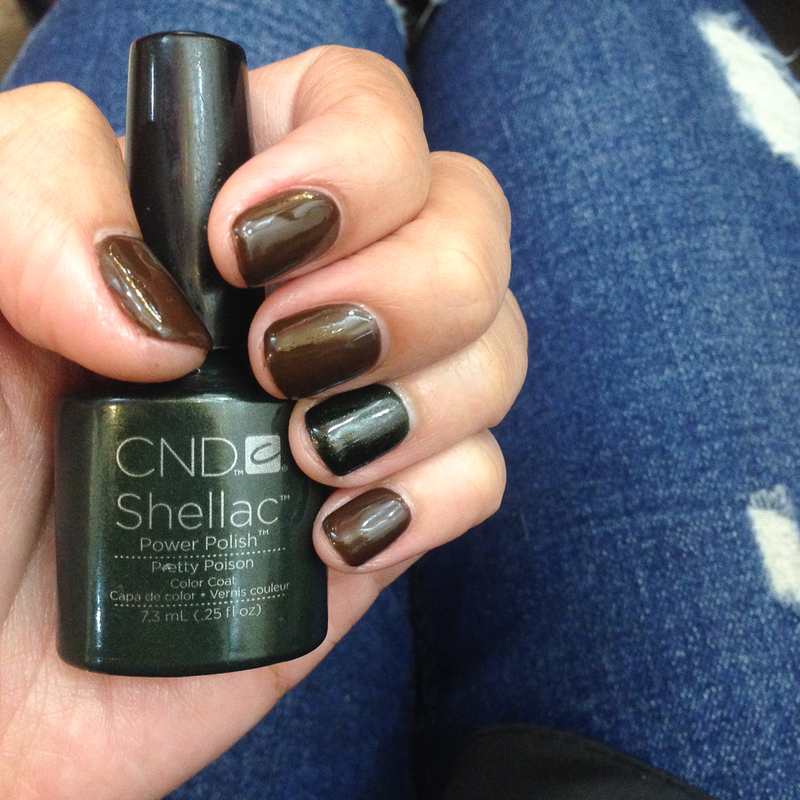 CND Shellac is available at Face2Face, Pink Peony Nail Salon, Emphasis Salon, Salon De Alyssa, Salon Privat, Jessie Mendez, Creations by Lourd Ramos, Salon 360, Dashing Diva, Nailogy, Mich & Myl Nails. 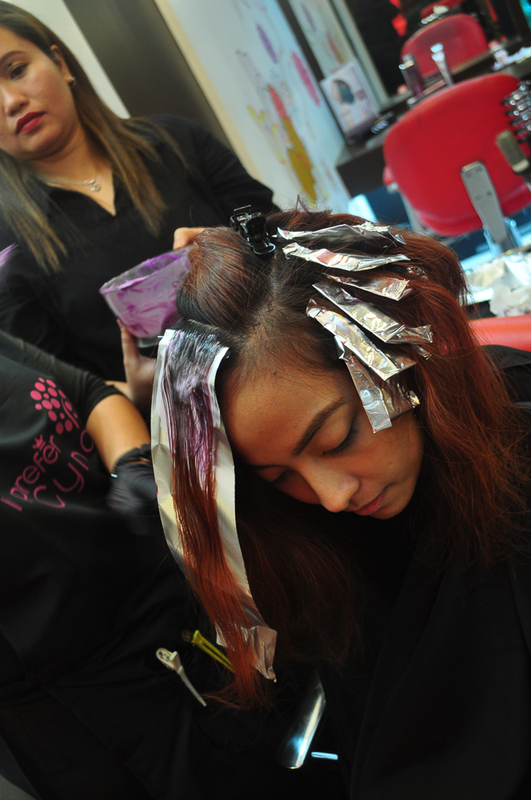 Soon it’ll be available at Going Straight & Headway Vera salon. I really like your haircut and the way you styled it, and I also like its color, now I know where you go to have your makeover, its really stylish and it suits you very well, I am a bit jealous because we are both moms and I hope this summer I could relax and have a makeover too even just once a year too pamper myself and forget about stress.